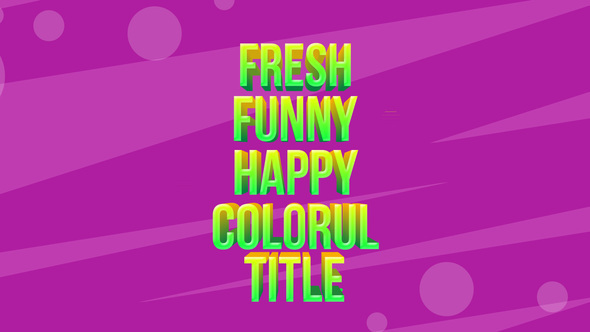 Candy Titles is a set of 10 animated title template, also include 6 Animated Backgrounds for After Effects. You can mix and match titles with backgrounds. You can change the color, adjust each text positions. These projects are perfect for creating toon titles, comic’s titles, games review, party promotions, kids TV channel, etc.